As far as we know, only MES knew the meaning of ‘Country On The Click,’ and it’s a little late to bother him with such petty questions. The rest of the title resulted from Smith’s unhappy response to the first mix which was nevertheless distributed on promo CD's, and which subsequently appeared online in various dark corners of the internet. He went back to the studio and had a new remixed version put together, and it is the UK version of this newer mix that we are considering in today’s lecture. Recorded in Rochdale, up in the north of England where he felt comfortable, MES and the band turned once again to Grant Showbiz to sprinkle his back-alley magic onto the project (Grant - who got his nickname when he showed up carrying a brand new attaché case to join a busload of punks on tour - has his own Wikipedia entry and his fascinating history deserves your full attention, but not yet. K?). The Fall and Grant had previous encounters. They’d worked together on and off since 1979, and the partnership had created some of the band’s most exciting work. After the cheapskate muddle of Are You Are Missing Winner, the previous studio recording, Smith had found the funding and motivation to make something great, not just good, again. The line-up that recorded the previous album was already a tight functioning band, with all the telepathy and instinctive mutual understanding that a good unit develops. With the addition of Elena Poulou (the 3rd Mrs. MES, aka Plouty) on keyboards and backing vocals, Smith had an extra prop to keep him relatively stable and focussed as the recordings progressed. "Green Eyed Loco Man" comes out firing all of its guns at once after a deceptively gentle intro – classic Fall stomper with lyrics to hear but not understand. Stirring keyboards and chunky guitars push forward into "Mountain Energei," Smith’s first exploration of the pastoral in living memory – a quiet, introspective little piece clothed in metaphor and dropping a few names from the post punk British musical gentry. Prosaically concerned with the practical difficulties of financing a house purchase without a fixed income, it soon wanders off into familiarly strange territory, where fish leave notes advising anglers how best to proceed. "Theme from Sparta FC" probably helped MES get his hands on some royalties, as it was used as the music behind the Final Score section of BBC television's Saturday afternoon soccer coverage. Breaking into spoken Greek at one point, and referring lyrically to shepherd boys who live on blood, it’s hard to pick out the particular insults that diss Chelsea football club supporters. Why Chelsea? Well, why not? A long time fan of the beautiful game, MES was asked In 2006 to read out the classified football results on the BBCi interactive service "Score." Chaos predictably ensued. "Contraflow" turns its back on the bosky pleasures of rural England, pouring hatred on the countryside and the country folk while the protagonist tries to make a dubious sounding but undeniably urgent and important meet with someone. Whether the meet impacted on "Last commands of Xyralothep via M.E.S." is open to debate but this is easily the most obscure track on an already strongly psychedelic album. "Open the Boxoctosis" on the other hand seems to crystallise that instant when you’ve scored your drug of choice but haven’t yet managed to get at it. "Janet, Johnny + James" has the air, musically, of a late night jam. MES is again quiet, restrained and invoking mountains, rivers and the skies. "The Past #2" skittles along like a spooked kitten, and to be honest makes just about as much sense, lyrically. 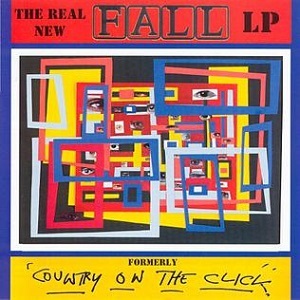 As so often when discussing the Fall’s music, we just have to comment, “great song, no idea what it’s about” and stroll, via an insistent looped electronic riff, into a languid Lee Hazelwood cover – a song called "Houston," that gets made over into a boozy singalong. "Mike’s Love Xexagon" sees MES channelling the wracked psyche of Brian Wilson over a gloriously distorted riff from the vaults – this track looks all the way back to his early paranoid horror stories like "Spectre Vs Rector" or "New Face In Hell." "Proteinprotection" is another great incomprehensible rant laid over a monster truck riff, but with cute backing vocals. "Recovery Kit" closes the album with a groovy little sequencer line and some smooth croony vocals. Not exactly Vegas residency smooth but probably as near as they ever got to it. Taken as a whole, this was the best Fall album in a few years. There'd been a falling off, not of quality exactly, but perhaps of commitment, on Mark's part in the late '90's. This demonstrated why you should never return to a firework once it's been lighted once - you never know whether it'll explode in your face.